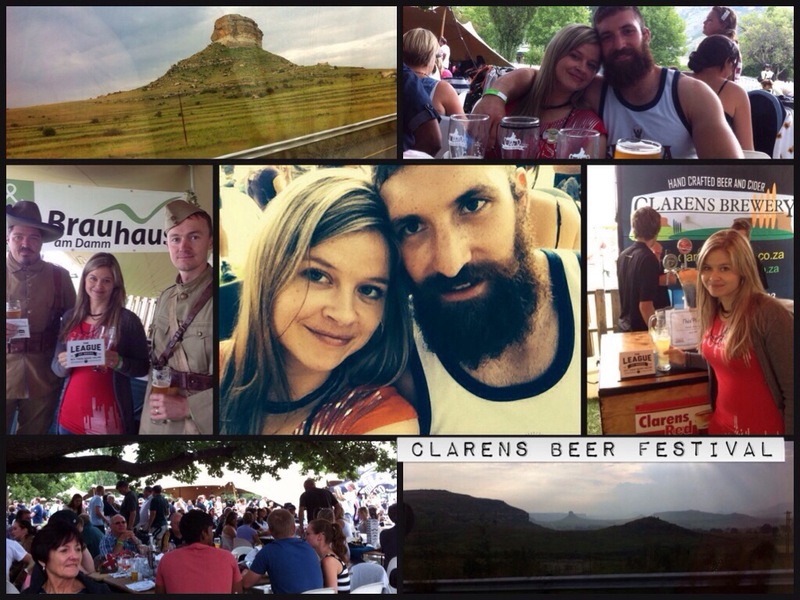 We went to Clarens this weekend for their 4th annual beer tasting festival. 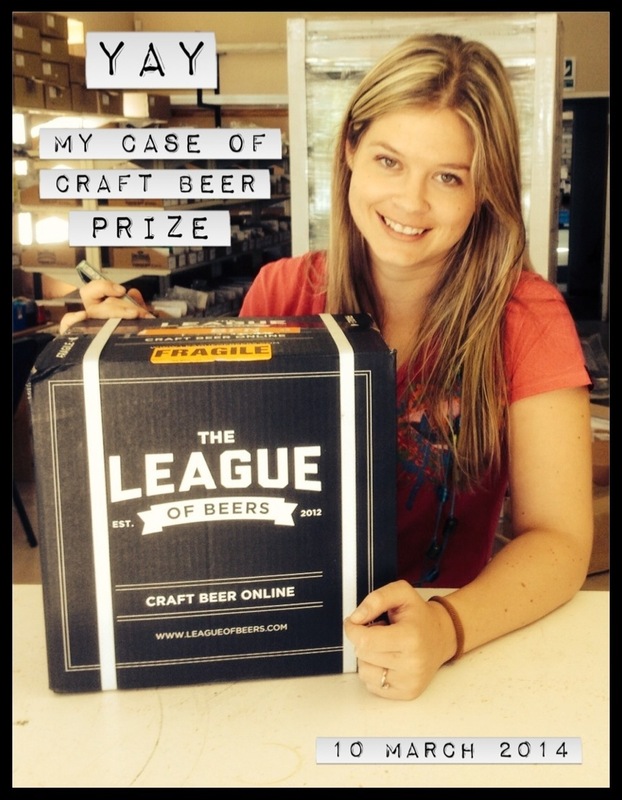 Many of South Africa’s top micro-breweries were there with their best home brews. A lot of people were at the festival and it was indeed very festive! It looked like it was going to rain but luckily it didn’t because there wouldn’t have been enough shelter for everyone. Clarens is a small arty town surrounded by the Maluti mountains in the Eastern Free State. There are many art galleries scattered around town as well as many interesting, unique restaurants. During the weekend of the beer festival (or any other special event) the town is always packed! And this year was no different. We had to drive through for the day from Ladybrand because there was absolutely no accommodation left in Clarens! The road from Ladybrand to Clarens is very beautiful with all the sandstone rock formations, fields of mielies and kilometers of yellow sunflowers. Marc injured his knee ligaments so he has been on crutches since Thursday. So, unfortunately he had to go to the beer festival on crutches. He certainly didn’t let this stop him from drinking beer and having a good time! He strapped his glass with cable straps and a clip to his shorts so he could move around with his crutches and beer. This beer strap contraption was quite a hit! The crutches also got us to the front of the queue! The security guard at the entrance of the festival fetched Marc from the middle of the line, and we were both allowed to enter the festival area first! We bumped into friends we haven’t seen in ages. It was such a lekker day! 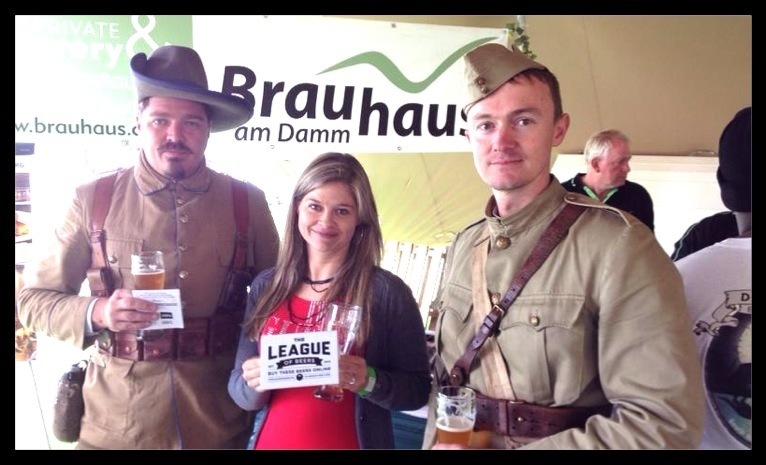 This entry was posted in Africa and tagged clarens beer festival 2014, clarens beer festival on crutches, tasting beers in clarens. Bookmark the permalink.